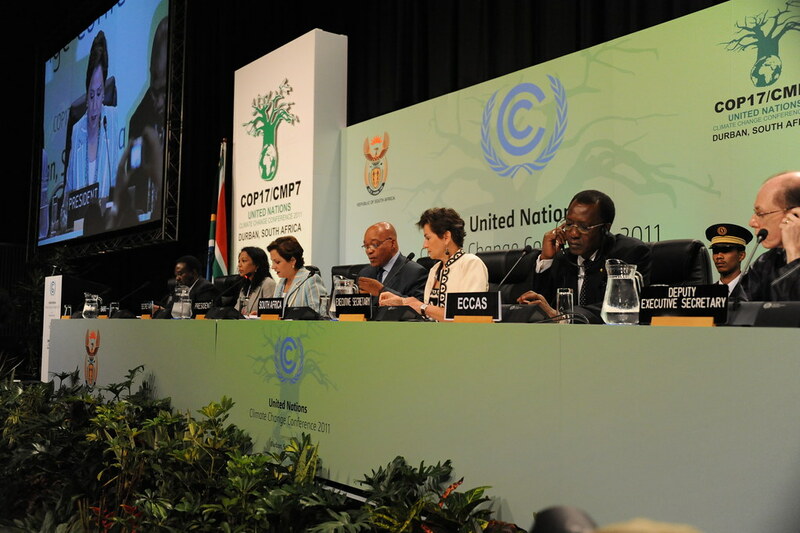 The Durban Climate Change Conference, or #COP17, is the biggest event in global governance right now, attempting to get the world to deal with the toughest global challenge. The conference faces all the classic global governance problems: world leaders not leading cos they’re not world leaders, they’re national leaders…how to harness the voices of a thousand NGOs and private actors…how, in essence, to bring appropriately democratic politics to the issue of climate change. The first step is just to be able to understand the public view – but it’s a global constitutency we’re talking about – everyone is affected by climate change. In the context of global governance 2.0, Twitter has the potential to become, if it isn’t already, a global parliament – certainly on the debating side. Obviously Twitter doesn’t make global law, but it’s where ideas happen, its where people demonstrate what they believe, etc. So how do you begin to make sense of all the thousands of tweets? CNN are trying – with this astonishing visualisation, called ‘Ecosphere’. It’s geekily beautiful and might help us understand the central themes of the conference. But at the moment each of the large branches, formed by the most-used words in tweets including the tag #COP17, is a fairly obvious descriptive word – Durban, Africa or Climate Change. That doesn’t tell you a lot. And it’s pretty hard to navigate to individual tweets. It might have been more useful to provide some kind of sentiment analysis – simply whether people are saying positive or negative things. It’ll be interesting to see how the ecosphere changes across the next few days, especially if individual nations are named and shamed or a central sticking-point arises. If the same descriptive keywords continue to monopolise the visualisation, however, it’ll be of limited use.